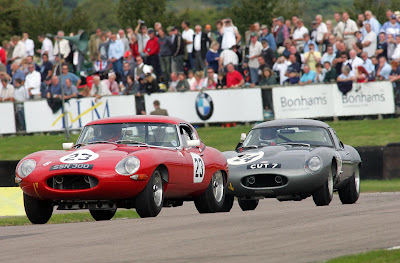 In just six weeks time, the finest collection of significant and authentic racing Jaguar E-types ever assembled will gather at the 2011 Goodwood Revival (16-18 September) for an exceptional Fordwater Trophy race. 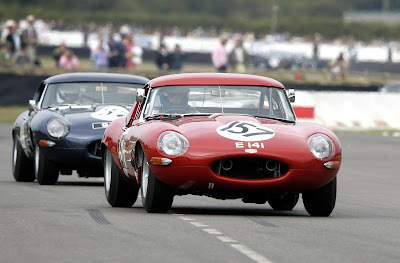 To mark the 50th anniversary of the most iconic of British sport cars, as an exclusive race for 2011, Goodwood’s Fordwater Trophy will feature a grid exclusively made up of Jaguar E-types of a type that raced up to 1966. The race will be a 45-minute two-driver race, with driver changes in the pits between 15 and 30 minutes. The Fordwater Trophy will feature an extraordinary mix of historically-significant competition E-types, including six of the 12 lightweights still in existence racing, plus three more of the surviving cars present on static display. 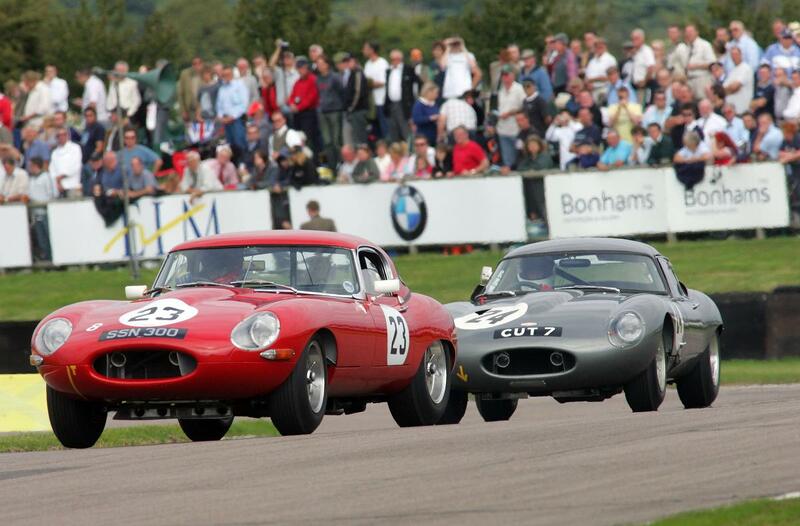 With significant racing E-type low drag coupés, roadsters and fixed head coupés also competing, the race promises to make for an intriguing spectacle and a fitting tribute to Britain’s most popular sports car and its special relationship with Goodwood. An exceptional line-up of top drivers will campaign the Jaguars, including ex-F1 stars Gerhard Berger, Jackie Oliver, Jochen Mass, Adrian Newey, Desiré Wilson and Tiff Needell, touring car legends Andy Priaulx, John Cleland and Anthony Reid, ex-Jaguar Le Mans winner Andy Wallace and actor and comedian Rowan Atkinson.